A woman being rescued from her house in Chennai, India. My family lives in a low-lying area in Chennai, and we are, unfortunately, in the direct line of the reservoir’s outflow. 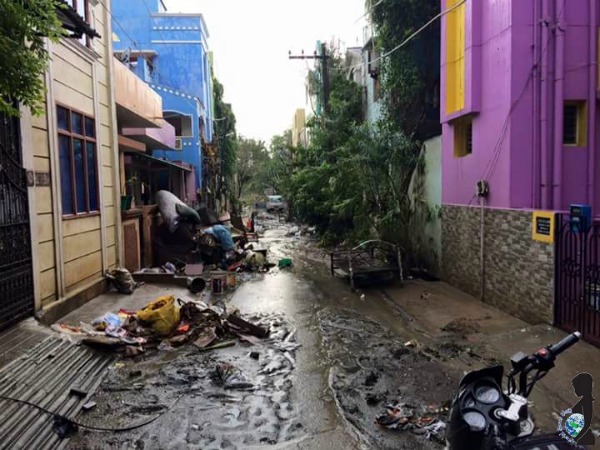 We have been deeply affected by the #ChennaiFloods of 2015. I’ve listened to to my son’s pleas to go back to his school which has been rained out for over a month. I have been heartbroken and in shock from the news of the many who have died around us from the floods. Helicopters overhead have dropped off supplies to my mother’s neighborhood. It began with a cyclone, and now the floods of Chennai, India have left the region where we live, in a crisis. 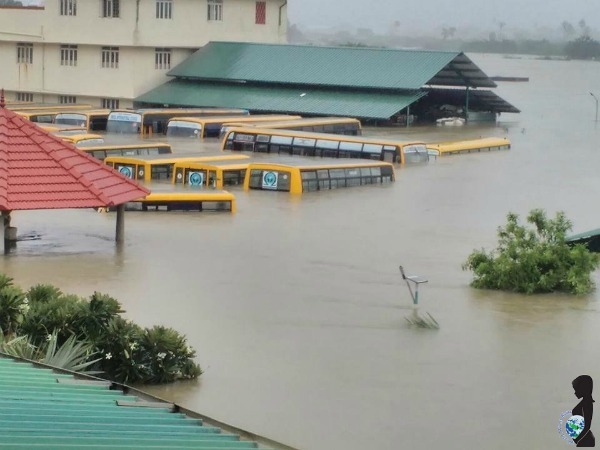 The school of the photographer’s daughter and buses under water in Chennai due to extreme flooding. It was a wrong call. The people keep on saying this over and over again. In the newspapers. In social media. Chennai has had the highest rains in 100 years, but that is not what has caused our city’s problems. Lapses and error in human judgement, unplanned and predatory city development, high rise buildings on dried up river and lake beds, clogged drain water pipes, and a very poor civic administration are what led to our current catastrophe. And the reservoirs and dams were opened up at the wrong time. This was a disgrace! Sedimentary debris left behind by flood waters in Chennai, India. The government had adequate warning from the weather department, but failed to respond in time. Who is responsible for this? One person’s bad judgment or that of one state government department led to this event which has been called a national disaster and crisis. Over 500 are dead, as bodies are still being recovered from receding waters, with over 1.8 million people losing their homes and possessions, and a net worth loss of $3 billion to the Indian Economy. My city, fondly called Singara Chennai (Beautiful Chennai) in my native Tamil language, has now been aptly called Sink-aagara Chennai (Sinking Chennai) all over Social Media. 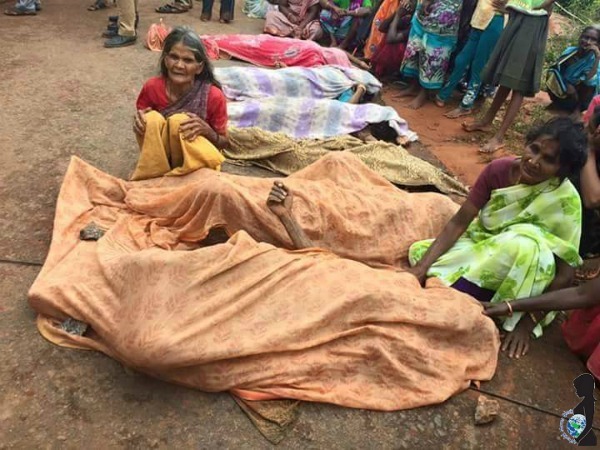 Dead bodies are covered as women mourn. 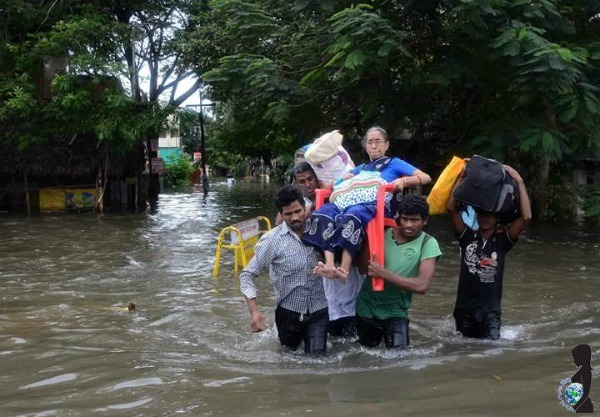 Over 500 people have lost their lives in the Chennai Flood. The damage is colossal. I am still numb reading and listening to accounts of dead bodies emerging from receding waters and closed highways because of the river in spate. Then there was the opening of Chennai International Airport after a long closure, the naval war ships coming to rescue people from the Chennai seaport, reported deaths in hospitals because of power outages, and the dead piling up and decomposing. Pregnant women were being airlifted from high rise apartments. During all this, there was just this crazy thought in our hearts as parents, that our son should survive this. It is our hope that our son survives all this mess, the bureaucracy, and live in a beautiful, safe world. 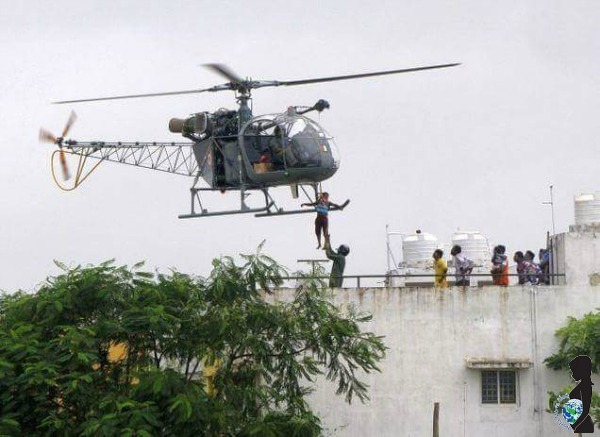 A helicopter evacuates a person who needs medical care in Chennai, India. On the night of the reservoir opening up, we went over to our neighbour’s place in the first floor (in India the first floor is above the ground floor), because of the fear of flood waters entering our homes on the ground floor. It was with great pain that we left our home (for a single night), which we had built with all of our love and life savings, at a time when we had nowhere else to go. It was far too emotional. Yes, the deluge of rain was unforeseen, an act of nature – but Chennai was left unprepared for it. Left unprepared, because of the subconscious feelings and acts of violence, hatred, prejudice, jealousy, in the hearts of men. Left unprepared, because of the bending of rules and flouting of norms in the name of development of urban land. Left unprepared, because of the nonchalance on the part of governmental officials in the event a flood warning is issued. Left unprepared, because of the switching off of phones of the city police officers for emergency call-ins. I could go on. We have watched apocalyptic movies like “2012″ and “Independence Day.” And, this week, we found ourselves living it. As we waded through the flood waters to our neighbour’s place on the first floor, my son jokingly said, “Is this how it was like, for Noah, during the great biblical flooding?” We all humored him and laughed with a pain in our hearts. 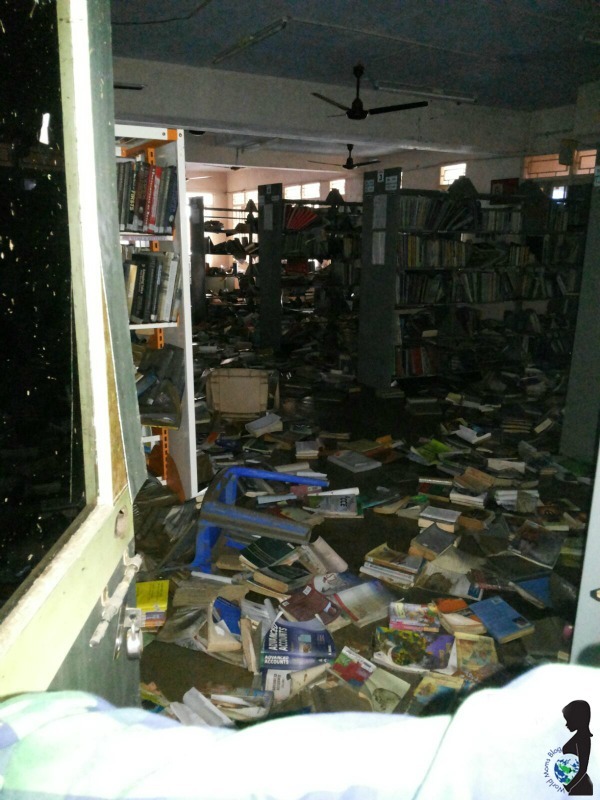 A school library in Chennai that was wrecked by the flooding. I keep my head up and continue with the strenth of these words from a speech given by my spiritual friend, Shri Parthasarathi Rajagopalachri. It is almost a year since he passed on, but his legacy and love, lives on in Heartfulness Meditation, which he has left behind. “We have a duty to our race (human beings); We have a duty to the world. We are not just nationalistic, which is very narrow. We are responsible for the universe. One problem in Japan – the tsunami, a problem with their atomic [power] generator and the whole world is shivering. Which wind will blow what towards us? A flu somewhere, and everybody is sick; at all airports there are tests. Today, it is not your country or my country – it is my world. Anything happening anywhere can affect us. Bomb blasts in Mumbai. “Oh, But I am in Chennai.” Where next? The heart never misleads. The heart always tells you the right thing to do. It is way beyond morals, ethics and judgements. It always tells you how to go about peace, love and joy. The heart is the way. We could have done better. We MUST do better. As a parent, as a mother, as a human being, I want to leave behind a just world where serenity and tranquility prevails. 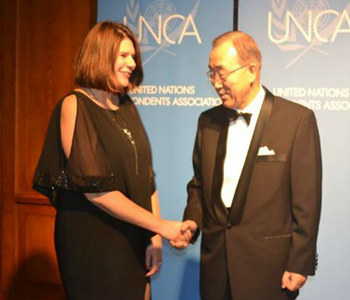 This is an original post from our UNCA Award Winning World Mom and Senior Editor in India, Purnima Ramakrishnan. 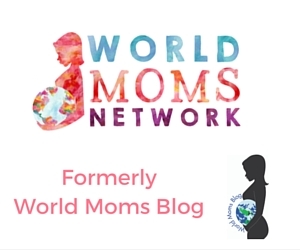 Her contributions to World Moms Blog can be found here. Photo credits to Savitha, Purnima’s sister-in-law. « World Mom, Julie Dutra of Portugal, is on @BabyCenter Today! Such devastation and unimaginable loss, I am so sorry Purnima … your photos are heartbreaking. Yes we do, and we must do more. Yes, those words are powerful, aren’t they?! They were spoken in a speech by a friend. Peace in the heart, perhaps meditation, perhaps love, can only give a long term solution. Purnima my heart is so heavy for what you and your community are enduring. I am so sorry! It’s true that while today I am here standing on dry land, tomorrow it could be my home, my town, in this world that we all share as our one and only home. Thank you for sharing some insight into what is going on across the world with us during this difficult time. I’m keeping you and your family in my heart and mind. You said it right – Elizabeth. Today my land, tomorrow another land. It is just one planet. And it is our duty to preserve it for humanity. And it is our duty to spread peace in the hearts… in the middle of all this chaos. There is no other way. Purnima, this post is so moving and I feel so powerless that you and your community are suffering. Be strong. You are a fighter. Keep using your voice and fight. Dont say that Nicole – of course you are NOT powerless. Your thoughts and prayers kept us all going, along with the thoughts of all in this beautiful community of mothers! Dear Sapana, Amen to that! Maybe our planets be safe and in peace! Let us undo them by spreading positive vibes and a peaceful atmosphere, where only the beautiful pristine ambiance exist! I am already visualizing it, and with confidence know that, we will be there one day! Your post is quite moving and your photos are heartbreaking. It is easy for so many to push aside these images if they’re not the ones in heart of it, but as a Mom, I can only imagine the heartbreak and suffering everyone there is going through. My thoughts and prayers to you and your family and I pray that seeing these photos will spark action to not just react but to fight to make this world, our world, a better one for our children. Please keep fighting, we need voices like yours to inspire us and so many others that it’s not too late for humanity and to coin your words, “As a parent, as a mother, as a human being, I want to leave behind a just world where serenity and tranquility prevails”. Peace to you and your family. Tes, thank you for your nice thoughts and prayers. Yes, we need peace for our race, peace for humanity! Purnima, very moving and thought provoking article!! Man made disasters will become in the coming times all over the world as it appears now and we all have to bear the consequences of our disasters. How long have you been doing Heartfulness Meditation? Is it similar to Sahaj Marg taught by Shri Ram Chandra Mission? I have been doing Heartfulness Meditation for 17 years. I am a trainer too, of it. Would you like to start too? Please write to me at Purnima.Ramakrishnan@Gmail.com and I shall put you in touch with someone in your city, if you are not in Chennai. Yes, Heartfulness Meditation is the method of meditation which is taught by Shri Ram Chandra Mission. Glad to note your interest in it. Purnima, I am moved by your story and pictures. My prayers and thoughts are with you. Indian government has to learn how to prepare for such catastrophes. And, we as responsible global citizens should learn more about how our selfish actions can harm the nature which reacts in such outbursts.